Save time and money planning your Christmas classroom party. 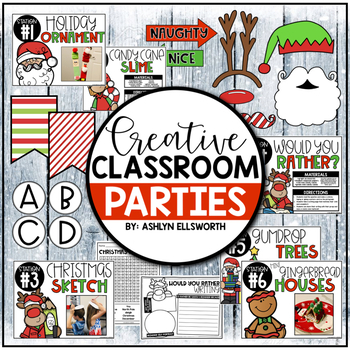 Creative Classroom Party Packs will make every occasion easy and fun for your students. 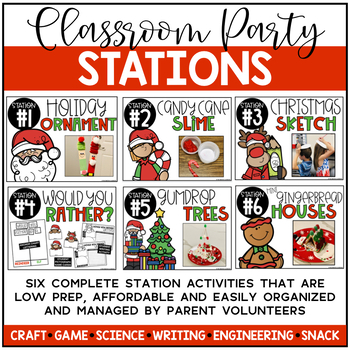 This party pack includes six complete station activities that are low prep, affordable and easily organized and managed by parent volunteers. These stations include one craft, a science experiment, treat, writing activity, team building STEM challenge, and a fun game. Party packs include the directions and supplies for each station to minimize prep and stress. 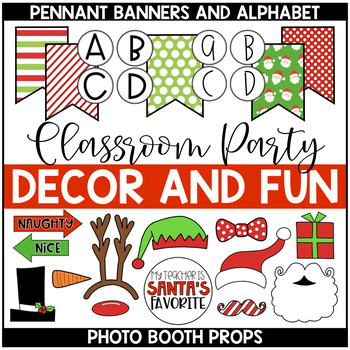 In addition this pack includes pennant banners for decorating, photo props for fun memories and editable parent letters, invitations, shopping list and much more to make your Christmas party the best! 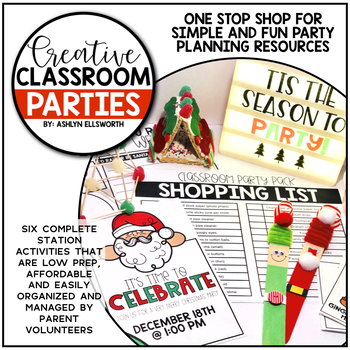 Creative Classroom Party Packs are the one stop shop for simple and fun party planning resources. Shop, print, and PARTY today! Do you want to party all year long? Then grab the year long PARTY BUNDLE that will include a party pack for the following seasons and holidays. Don't forget to receive TPT credits to use your purchases! First, Go to your My Purchases page. Next to each purchase you'll see a Provide Feedback button, click it and you will be directed to a page where you can give a rating and comment on each product. Every time you leave feedback for products you will be given credit to use on future purchases like this one! Are you following my TPT store? Don’t forget to make sure you are following my TPT store so you can stay updated on new product releases, sales and freebies! Click the green star beside my name at the top of this page! Thanks for visiting and following my store!